A vibrant destination perfect for a few days away, attractions in Providence include art, history, and recreational activities. Known to be compact, modern, and a little eccentric, the city has a loyal population and is well-loved in the broader region. The history of Providence means that there are numerous historical sites and districts, such as Federal Hill and the East Side. Exploring them is a wonderful way to immerse oneself in the culturally diverse spaces of the state capital city. The beautiful Rhode Island State House houses the original Rhode Island Charter of 1663. Visitors will discover other architectural landmarks such as the RISD Museum, which is the leading museum of art and design in the state. Benefit Street helps understand the architectural heritage of Providence, while John Brown House was the first mansion built in the state. 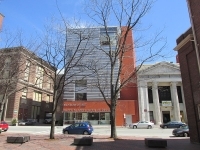 For the artistic, the Providence Performing Arts Center holds concerts, contemporary plays, comedy, and Broadway shows. WaterFire Providence is an exciting attraction for those looking for something different, offering a sensory experience on the river like no other. Home to the prestigious Brown University, Providence is rich in academics, arts, and student life. The city has some renowned restaurants from which to choose, as well as great shopping districts. 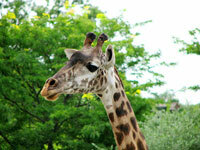 Visitors enjoy outdoor recreation at any one of the spectacular parks and golf courses in the city.